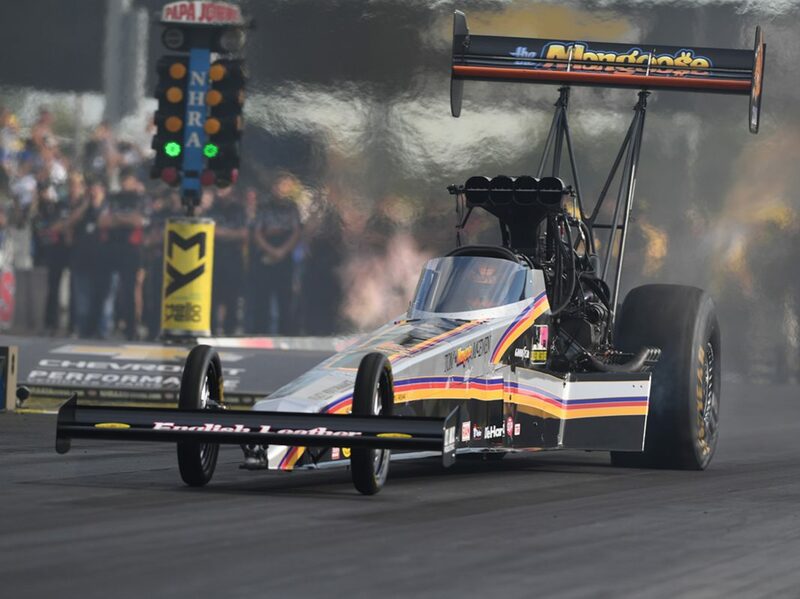 POMONA, Calif. – Mike Salinas and his Scrappers Racing team are on the verge of a breakout season in the NHRA’s Top Fuel ranks this year, and one of his first customers will be there to enjoy the ride. Salinas announced Friday that Pleasanton Ready Mix Concrete has signed as an associate sponsorship for the 2019 season with his Top Fuel team, continuing a steady momentum the team has been building heading into this weekend’s season-opening race, the NHRA Winternationals at Pomona. Pleasanton Ready Mix was Salinas’ second customer at his business 36 years ago and he has maintained a strong relationship with owner John Santos, who is also a major drag racing fan. With Salinas looking to take the next step, the sponsorship was a natural fit. “This is really exciting for us to add Pleasanton as a sponsor for 2019. It’s a great family with great people and they love racing,” Salinas said. “They’re going to be able to meet with the top people in their industry at the races to help them and it’s really a perfect opportunity for everyone involved. It’s another big step in the right direction for Salinas and his Scrappers Racing team, which added Brian Husen as tuner and Alan Johnson as tuning advisor in the off-season. Adding a close-knit sponsor is another boost of momentum, while Pleasanton Ready Mix is just as excited with the partnership. Santos bought the company in 1983 and now has 12 concrete trucks for the successful business based in Pleasanton, Calif., which is less than an hour from San Francisco, Oakland and San Jose. Santos believes working with Salinas and traveling to a number of races will be a great benefit for his company, furthering a relationship that is nearly four decades old. Nearly 40 years later, Salinas hasn’t forgotten that act of kindness, and neither has John Santos.